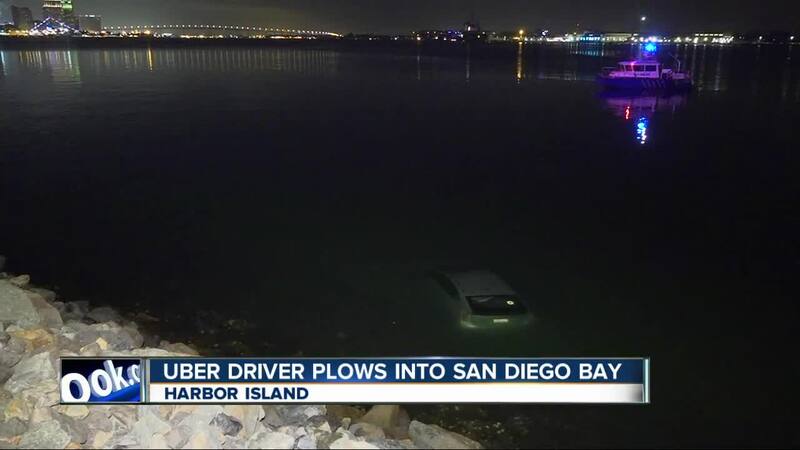 An Uber driver escaped serious injury after driving his car into the waters of San Diego Bay. SAN DIEGO (KGTV) - An Uber driver escaped from his car after it plunged into San Diego Bay Thursday night. San Diego Harbor Police said the incident occurred at around 10:30 p.m. near the 1500 block of Harbor Island Drive. The driver was on his way to pick up a customer on Harbor Island when he arrived at a T-intersection at a high rate of speed, causing him to drive off the road and into the water. 10News learned the driver was not found to be under the influence; he told police he tried to make a turn but it was too late.